When it comes to kitties, more is always merrier. That is, of course, until you get to their litter box. It is here that things tend to become quite unpleasant. After all, when you have multiple cats using the same litter box, things can pretty dirty, really quickly. The good news for you, though, is that there are kitty litters that are specifically designed for such a situation. 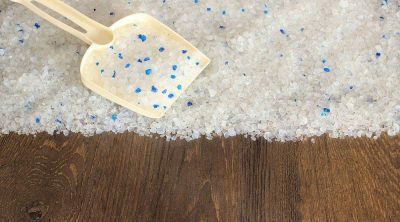 By choosing these, you can ensure that the litter box stays cleaner for a litter longer. That does, however, depend on the type of litter that you get. 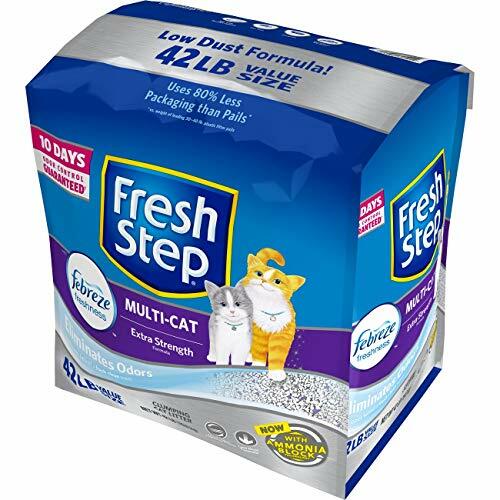 For the top results, you are going to require the best cat litter for multiple cats. In case you aren’t too sure about how to go about choosing this, there’s no need to worry. 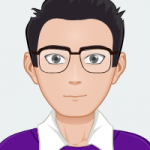 This guide here will provide you with all of the information that you need. Clay (With Bentonite): this is perhaps the oldest form of cat litter around. These days, most clay litter is mixed with bentonite. This helps the litter to clump together more easily, allowing for easy cleanup. Silica: while silica isn’t used as widely as clay, it still has its benefits. The most notable one is its absorbency and works to keep the litter box as tidy as possible. This litter may not be suitable for younger kittens or cats that have a tendency to eat the litter, however. Natural/Biodegradable: as the name suggests, this kind of litter is made from biodegradable or natural ingredients. As a result, they can be disposed of much more easily. In many instances, this type of litter has a tendency to be slightly safer for cats as well. The issue with multiple cats using the same litter box is that there is more waste accumulating. This, of course, means that the litter can become bogged down rather quickly. In turn, your cats may be more hesitant to use it and cleaning it up can be rather unpleasant. This is why you should look for a litter that has a high absorbency rate. This way, all of the excess moisture will be quickly absorbed, leaving the litter box as dry as possible. Hopefully, this will also mean that you will not have to clean out the box as often. Out of all of the forms of litter, clumping litter has the highest absorbency rate. As a result, it is able to form clumps around the waste, making it a great deal easier to scoop up and throw away. Another thing that you are sure to have noticed with having many cats around, is that the litter box can get stinky rather fast. Now, in most cases, the best way to avoid such a scenario is to clean the litter box on a regular basis. After all, if a lot of cats are using it, it’s going to fill up quickly. Still, relying on a litter that has good odor control can go a long way. These litters can trap or mask the smell of cat waste. Such a feature comes in especially useful if the litter box is kept in a central point of your home. Dust inhalation isn’t good for either you or your cat. This is especially true if you or your kitty suffers from respiratory issues. So, in such cases, choosing a low dust formula can be a good idea. In doing so, you will not have to be worried about a dust cloud being kicked up, every time that your cat uses the litter box. When your cats use the litter box, there is always the chance that a little bit of litter will get stuck to their fur or their paws. This is then carried and deposited around your home. Now, for the most part, all litter will track to a certain extent. However, there are some that track considerably less so than others. These can make it easier to keep your home neat and tidy. This litter is made up of a clumping formula. Due to this, it boasts a high absorbency rate, ensuring that most of the moisture in the litter is taken up rather quickly. The benefit of this, of course, is that you are left with a less messy litter box. The other advantage of such a feature is that it also makes the litter box a great deal easier to clean up as well. It is simply a matter of scooping up well-formed clumps, cutting down on the level of unpleasantness usually associated with this task. To add to this, you can actually flush this litter down the toilet, as long as your plumbing permits it. The odor control of this litter is pretty good as well. Even with multiple cats using the same box, you shouldn’t be able to notice any foul smell. The litter is also almost completely dust-free and so, it is a great option for more enclosed spaces. You should be able to make this litter last a bit longer than most as well. So, even with around three cats, a single bag may last you over a month! The only real downside with this litter is that the particles are rather lightweight. So, they get tracked around the house. There are quite a few features to like about this cat litter! To start off with, it is a clumping one, ensuring a much better rate of absorption. From the moment that your kitty uses the litter box, the moisture will be absorbed, allowing the waste to form clumps. 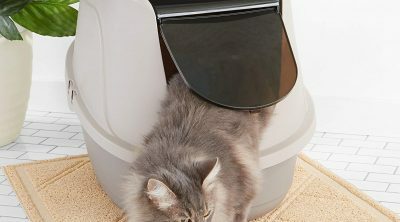 This comes in handy for cats that tend to use the litter box around the same time of the day. The lack of mess should encourage each one of them to use the box without any issue at all. 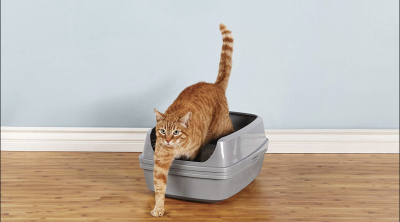 Of course, the best part is that cleaning out your litter box will now be easier than ever before. 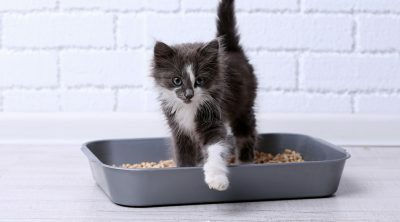 If you are tired of all of the unpleasant smells coming from cats’ litter box, then this is definitely the litter box to turn to. For one thing, it contains activated charcoal. This absorbs and traps the smell almost immediately, preventing it from getting out. Furthermore, the litter also has a Febreze scent added to it that adds a further level of freshness. In short, the litter will not give off any odors for quite a while. The only real issue with this litter is that it can be quite dusty. So, it may not be suitable for cats that have respiratory problems. 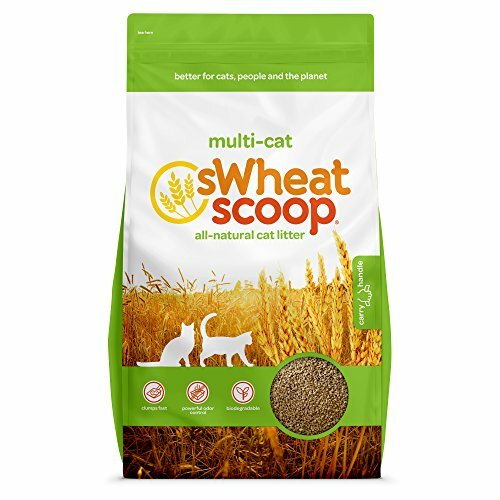 This is yet another multi-cat litter that has a lot to offer. Perhaps the most notable feature with this litter is the Clump & Seal technology. 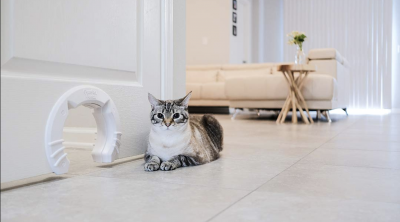 This works to keep the litter box mess-free, ensure that cleanup can be handled easily, and also keeps the bad odors to a minimum. See, this clumping litter is made up of plant-derived particles. These help to absorb moisture in the litter box right away, allowing hard clumps to form instead. In addition to this, there is a tight seal created around the waste, ensuring that no smell escapes. This odor control feature is also combined with the baking soda and other odor removing ingredients. All of these work together to keep the litter box smelling fresh for as long as possible. 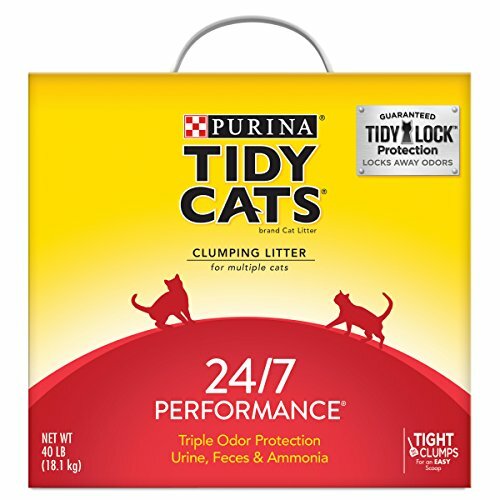 This litter boasts extra-strength to help deal with waste from multiple cats at the same time. Another enviable feature is that the litter is virtually completely dust-free! This means that there will be no clouds of dust when the litter is being poured into the box as well as when your kitty digs through it. So, if you or your kitty have any allergies, you can be certain that you are safe. The only downside with this litter is that the particles may readily cling onto your cats’ paws or fur. So, it isn’t unusual to find litter particles around the house. 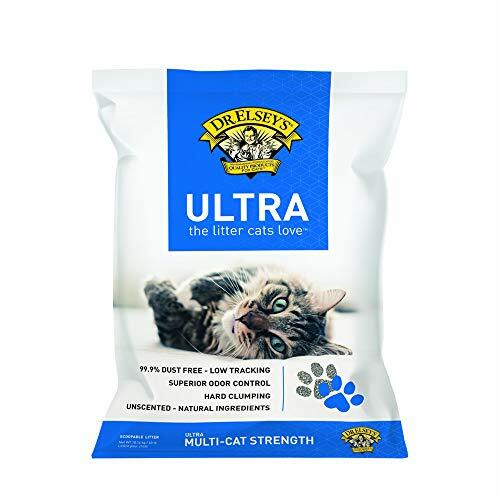 If you want to completely eliminate the possibility of any harmful additives to your cats’ litter, then this is the brand that you should go with. 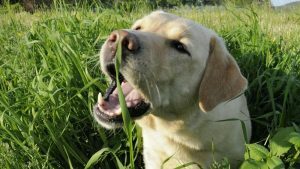 It is a wheat-based litter and therefore, is completely natural. Not only does this make it quite safe for most cats to use, but it is also eco-friendly to boot. As with all of the other litter on this list, this one is also meant for multi-cat households. This is why one of its top features is that the wheat starch causes the litter to clump firmly, once your cats have used the litter box. This results in a much smaller mess for you to clean up. Not to mention, when you do go to clean up, it will prove to be a breeze. The other perk is the fact that this wheat has odor neutralizing abilities as well. So, from the moment that your cats do their business, you can be quite certain that the odor will stay locked away. If you need to keep the litter box in a central place, this is definitely a good option for you. Now, it should be noted that all of these wheat particles are rather lightweight. As such, they can get stuck to your cats’ paws or fur rather easily. If you have one or more cats with allergies in your home, then this may be just the brand for them. This is a hypoallergenic formula, making it ideal for kitties with a wide variety of sensitivities. Even if your cats don’t have any allergies, this litter is still an incredibly safe option for them all. Another benefit with this litter is that it has excellent clumping capabilities. Due to this, virtually all of the moisture is absorbed from the litter whenever your cats use their box. This means that hard clumps are quickly formed, ensuring that the least amount of mess is left behind. Not to mention, this litter is really easy to clean up as well. The only point where this litter doesn’t really hold up is with odor control. Now, it does help to minimize the odor a little bit. However, with many cats using the box, this litter is unlikely to do much. Therefore, you will need to clean out the box more times to keep it smelling fresh. The good news, though, is that this litter will barely track at all. This is because the particles are rather large and so, can’t stick to your cats’ paws. The formula is also nearly dust-free. 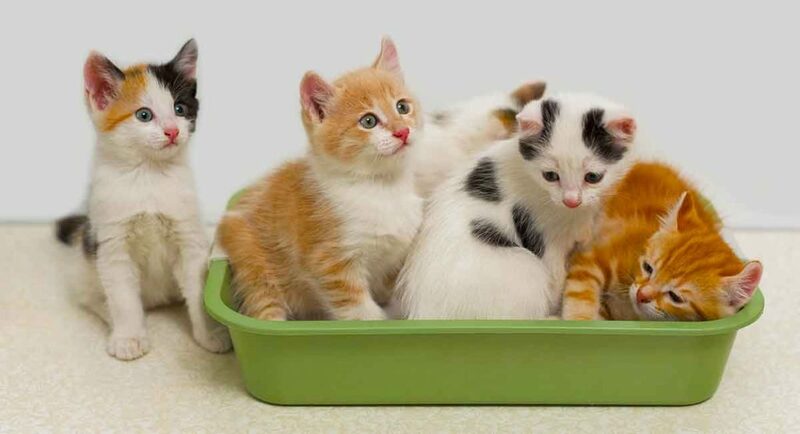 The feature that you will notice most with this litter is how much easier it is to keep your cats’ litter box clean. This is largely due to the excellent clumping action provided by this formula. This means that whenever your cats use their litter box, their waste immediately hardens into clumps. 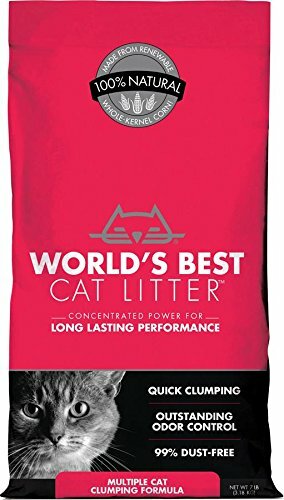 There is no doubt that even the fussiest cat in your group will find this litter comfortable to use. It is highly absorbent and so most of the moisture is absorbed almost immediately. Thanks to this, there is very little mess left behind. All of this, combined, means that you will be able to clean up a multi-cat litter box without any issue at all. This litter also works rather well for odor control. Once again, it is the quick action that really does wonders here. This litter boasts TidyLock Protection. This is a feature that works to lock all odors away – even ammonia based ones. As such, the smells are never given a chance to even enter the atmosphere. The only issue here is that there is some dust in this formula. So, if you are worried about your cats inhaling any dust in, you may want to consider another brand. All of these litter brands are excellent for households that have multiple cats. However, it is the Fresh Step litter that really stands out from the rest. It has excellent clumping action, making it easy to clean up. At the same time, the odor control means that even a well-used litter box will smell fresher for longer. So, if scented litters are fine for your cats, this may be one of the top products. 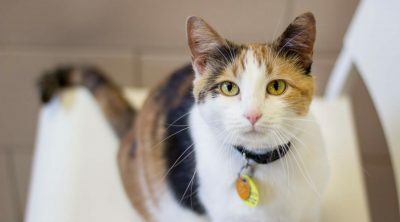 With all of this information presented to you, you should have no trouble at all, finding the best cat litter for multiple cats. At the very least, you will know where to start your search.